As part of our topic looking at ‘The Victorians’ we have enjoyed reading ‘The Christmas Carol’ by Charles Dickens. 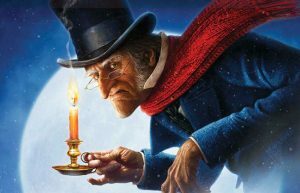 We all thought that Scrooge was rather mean not celebrating Christmas, so Class 3 have decided to write to him and persuade him that Christmas is the best time of the year and that he should enjoy it with his family. We hope you enjoy our letters, and we hope Mr Scrooge might enjoy Christmas too! Maybe he will write back and tell us all about it.